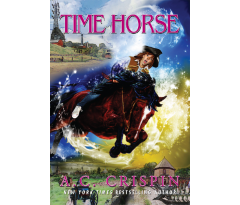 I'm thrilled and extremely proud to announce that my friend and colleague, Writer Beware co-founder and Chair Ann C. Crispin, has been named the 2013 Grandmaster by the International Association of Media Tie-In Writers (IAMTW). 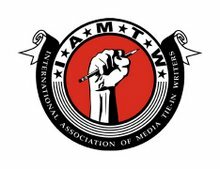 This annual honor, the highest awarded by the IAMTW, is given only to the most accomplished and successful authors in the field (previous Grandmasters include Kevin J. Anderson, Peter David, and Keith DeCandido). Ann's outstanding media tie-in achievements include best-selling novels in numerous franchises, including Star Trek (Yesterday's Son and Sarek, among others), Star Wars (the best-selling Han Solo trilogy), V (the original novelization), and Pirates of the Caribbean (The Price of Freedom). Ann works in her own worlds as well. 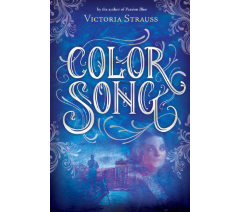 She created the acclaimed StarBridge series for young adults (recently brought back into circulation in electronic form), and, for adults, the high fantasy novel Storms of Destiny. She's also a respected writing teacher and workshop leader, many of whose students have gone on to be professionally published--and, of course, a founding member of Writer Beware, where she is a force to be reckoned with (just ask Martha Ivery). On a personal note...Ann and I began as colleagues, united by our concern about the many scams that victimize writers. But our professional relationship quickly ripened into a close and deep friendship. We're not just fellow warriors in the battle against literary fraud, we're companions, confidantes, and trusted beta readers.We've shared so much over the fifteen years since Writer Beware's founding (holy crap--fifteen years!! ), both good and bad, and we know each other inside out. That may sound corny...well, yes, it does sound corny. But it's the truth. I can't possibly be as thrilled as Ann that her accomplishments are being honored in this way--but I'm pretty chuffed! Many people regard media tie-in writing as the red-headed stepchild of publishing. Not writing in your own universe--that's hackwork! A copout for those too unoriginal to make up their own stories! A half-step up from plagiarism! But having been Ann's beta reader through the entire process of creating The Price of Freedom, I can tell you that tie-in writing is a lot more difficult than most people think. It's challenging, exacting, and requires an incredible degree of discipline. Not everyone is capable of doing it. Ann addresses this issue in her response to the award. So I’m very proud to be receiving this award, and proud to be a storyteller. Please join me and Writer Beware in congratulating a wonderful storyteller, caring mentor, fearless activist, and loyal friend: Ann Crispin. For more info on Ann and her many novels, visit her at her website. The law empowers the Bibliothèque Nationale de France to create an online database of works published in France before 2001 that are currently out of print (this includes not just works by French writers, but foreign works translated into French). Once a work has been listed in the database for more than six months, the right to digitize it transfers to a collective management organization, which thereafter has near-unlimited power to exploit that right--including granting it to publishers without the author's permission. The collective management organization will also be responsible for distributing (an unspecified portion of) the proceeds from such grants to rightsholders. There's a six-month waiting period between a book's appearance in the database and the transfer of rights to the collective management organization. To be removed from the database, rightsholders--who are not currently being notified if their works are included--must opt out in writing before the six-month waiting period expires. If they miss that deadline, they lose control of the digital display and sale of their work, and can only demand removal by proving that that they are the sole holder of digital rights. 1. The legislation specifically charges the collecting society with developing contractual relationships that will ensure the greatest possible availability of the works...This puts prospective publishers in a very strong negotiating position and more or less guarantees that the contracts agreed will be bargain-basement deals with very low royalty rates, regardless of the market value of the work. For authors, Spraggs says, it is "a ripoff deal." Writers' groups in the US are taking notice of this threat to copyright. The Science Fiction and Fantasy Writers of America has sent the letter below (reproduced with permission) to members, a number of whom have already found their works included in ReLIRE. As many of you already know, the ReLire program currently underway in France has scanned many books it considers to be "orphan works" in order to make them available through a public database. This database has already been found to contain many titles that are clearly not orphan works or in the public domain, including a number by prominent SF and fantasy authors. A more detailed explanation of the program is available here. Here is a direct link to the advanced search page. The search fields are Titre( Title), Auteur (Author), Editeur (Editor) and Date d'edition (Publication date). If you are aware of any works of yours that have ever been published in French, you are strongly advised to search under all of the first three fields, as the entries in the database have been found to have many typos. Please notify SFWA of any of your works that are found in the database, as that will be valuable information in our efforts to protest the program. Thanks to Aliette de Bodard, Lawrence Schimel, Michael Capobianco and Jim Fiscus for their help in researching and co-ordinating SFWA's response. If any of your works have been published in French, and you find them included in ReLIRE, see this step-by-step manual for applying to have the work removed. For many other helpful resources and links, as well as some of the writing/publishing community's reaction to ReLIRE, see Gillian Spraggs's blog post, French Copyright Grab: the Machine Creaks into Action. UPDATE: This lawsuit, along with another brought later, was dismissed in late 2015. Well, now the other shoe has dropped. 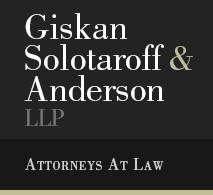 On April 26, Giskan Solotaroff filed a class action complaint on behalf of three plaintiffs against Author Solutions Inc. and Penguin Group USA (ASI is part of Penguin) in US District Court for the Southern District of New York. Allegations include breach of contract, unjust enrichment, various violations of the California Business and Professional Code, and violation of New York General Business Law. The complaint highlights issues that will be familiar to anyone who has followed discussion of Author Solutions over the past few years: poor quality products, poor quality customer service, relentless up-selling pressure on authors, particularly for ASI's expensive "marketing" packages, and trouble with accurate payment and royalty reporting. 4. Author Solutions' revenues are estimated at $100 million per year. Of the $100 million Author Solutions earns as revenue, approximately one third of that amount, or $33 million annually, comes from book sales. The rest of its revenue is derived from the services it offers, such as editorial services, formatting and design services, production services, and marketing services ("Services"). 5. Despite its impressive profits from book sales, Author Solutions fails at the most basic task of a publisher: paying its authors their earned royalties and providing its authors with accurate sales statements. 6. Author Solutions also fails to take diligent care of its authors' works, making numerous and egregious publisher errors -- errors made by the publisher, not the author. These errors include errors on book covers, in addition to various typographical and formatting errors. In fact, Author Solutions profits from its own mistakes. Aggressive sales techniques ensure that these errors are corrected only for a fee of several hundred dollars. Even though, as a matter of policy, Author Solutions promises to correct publisher errors for free, it rarely does. 7. Most of Author Solutions' earnings are derived from its publishing and marketing Services. These Services, which can cost authors tens of thousands of dollars, likewise fail to deliver what they promise: more book sales and more opportunities for authors. 8. Therefore, even while Defendant Author Solutions prominently markets itself on its website as "[t]he leading indie publishing company in the world," authors often discover, once it is too late, that Author Solutions is not an "indie publisher" at all. It is a printing service that fails to maintain even the most rudimentary standards of book publishing, profiting not for its authors but from them. In addition to asking the Court to approve class action status, the complaint requests release of publishing rights for the class, and payment by the plaintiffs of restitution, court costs, and compensatory damages in excess of $5 million. Authors wishing to contact Giskan Solotaroff about the suit can use this online form.